Henry Bibb, 1815-1854 Narrative of the Life and Adventures of Henry Bibb, an American Slave, Written by Himself. 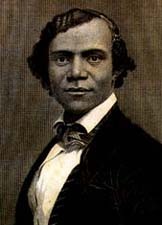 Narrative of the Life and Adventures of Henry Bibb, an American Slave, Written by Himself. Fugitive slaves -- Kentucky -- Biography. Indians of North America -- Social life and customs -- 19th century. Plantation life -- Kentucky -- History -- 19th century. Slavery -- Kentucky -- History -- 19th century. Slaves -- Kentucky -- Social conditions -- 19th century. Joyner Library, East Carolina University provided the text for the electronic publication of this title.